Is the freehub Shimano 3 pawl or...? Bit concerned about spares. Is the freehub Shimano's 3 pawl tandem style or...? If generic, do you carry spares please? Unfortunately, without taking it apart it would be hard to tell what kind of freehub this has im afraid. Last year I was using one of your custom built rear wheels. It was a 36 hole Sputnik rim with a Deore LX hub. While on a short expedition and while carrying some very heavy loads on the rear rack, I managed to damage this hub. Would this tandem hub be able to take my weight (100 kg) plus up to another 70-100 kg on the rear wheel ? I was using the super strong Tubus stainless steel rear rack, which was able to take double its rated weight, which is 40 kg. No doubt the Tubus would break if more than 100 kg was on it ? Does this hub have cartridge bearings or loose bearings? This is a sealed bearing hub. Will you provide a skewer to fit 135mm? Thanks for answering my first question. 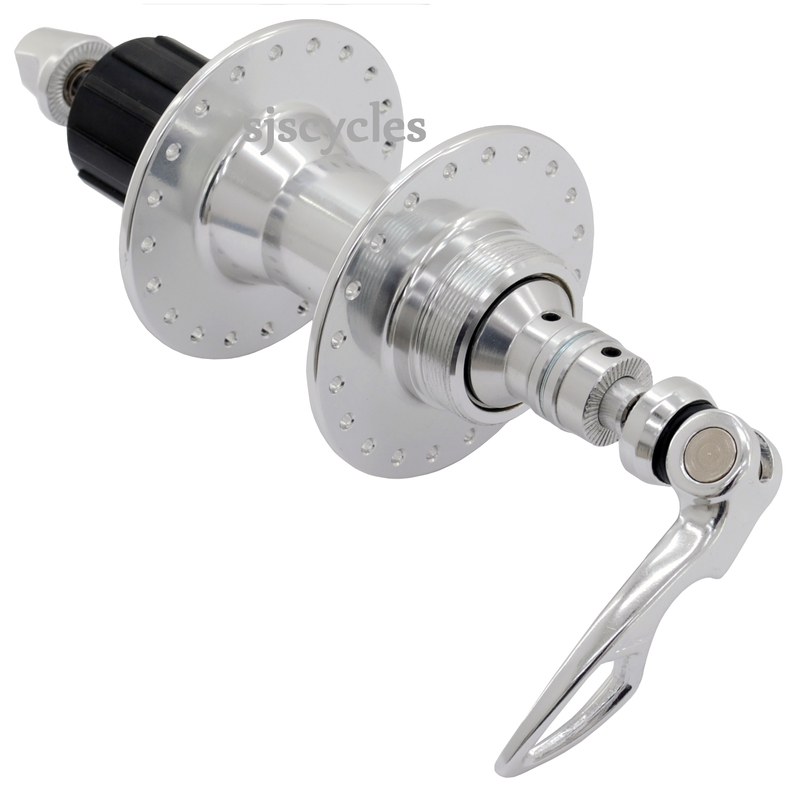 If I order this hub to fit my 135mm OLD frame, will you provide a skewer to fit 135mm? Or in my case, would the extra spacers then go on the outside of the frame, with a bit of skewer overhang? There is a skewer provided, you will need to refit the spacers on the end of the axle- outside the dropout, so will use the same skewer. Is there an Arai-compatible hub at 135mm O.L.D? Hi, this product is almost exactly what I want, although I need one that fits in 135mm. Does this product perhaps have removable spacers, so I might convert it down to 135mm? Yes this hub will convert to 135mm as its axle is spaced.